What does the supplier of clothing to an internationally ranked sports team do with their street cred? Well in London they open a coffee shop. 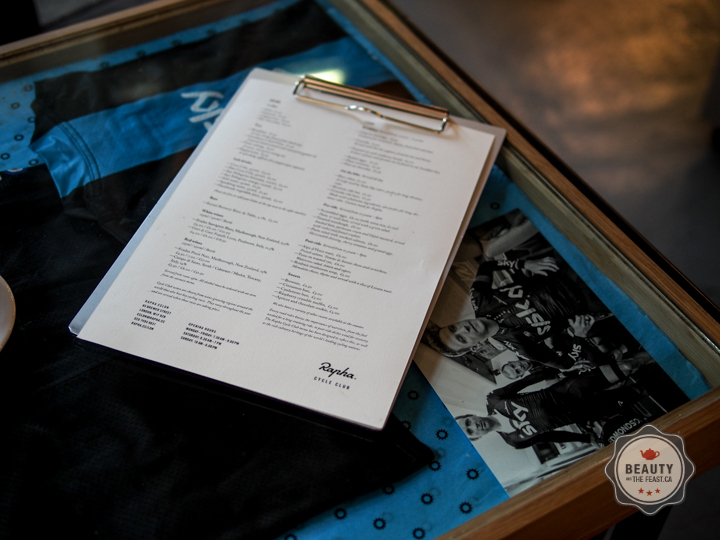 Rapha CC has the contract to provide clothing to the Sky Pro Cycling Team, the highest ranking team in the world, responsible for many Olympic gold medals for Great Britain. 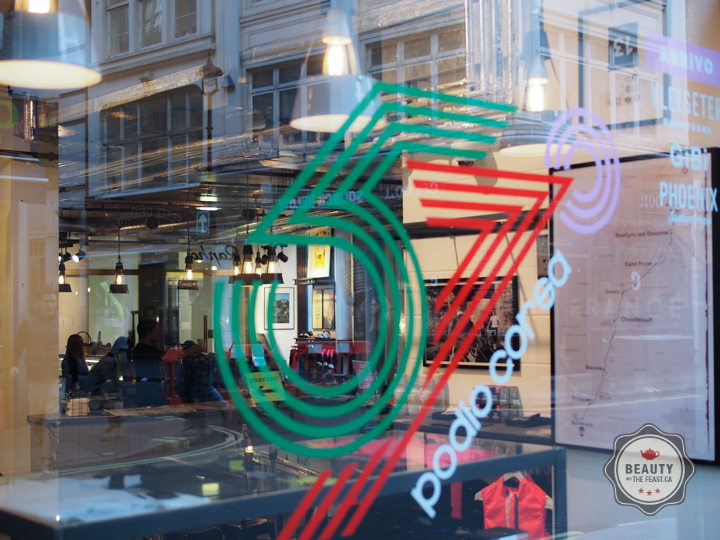 Their next step after dominating the market with their stylish tight outfits was to build a serious coffee experience. Note: they have a beautiful machine with a stunning custom exterior. Fans of Rapha can drool over the limited edition Rapha Giotto Rocket Espresso Machine (Retails for approximately $2500 USD) for their home. In partnership with Italian specialists Rocket Espresso Milano, Rapha Cycle Club has designed this limited edition, stainless steel Giotto espresso machine. Featuring a thermo siphon system, copper boiler with lead-free brass end plates, and a Sirai pressure stat, each of the machines features a number between 1 and 200 on the boilerplate. 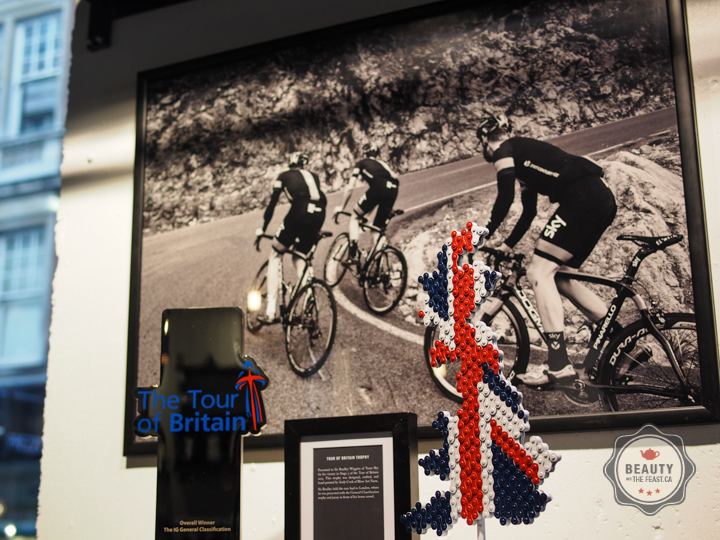 Cycle clothing and trophies litter the store but there's coffee.... and good coffee at that. Like most third wave coffee shops you can expect a conscientiously brewed cup to take to a beautifully handcrafted table and sit on an uncomfortable vintage or vintagesque stool/chair. It's a nice place to get a well brewed cup of coffee (to go!) but pass on the treats. Get out of the store quickly unless you are skinny enough to pass for a cyclist as it does feel an elitist boys club... if such a club existed where members wear excessively tight pants.